Dogs are amazing companions and every free time spent cuddling, playing or just chilling with our furry friends is a time well spent. However, a lot of people feel like they should give up their favorite activities when they get a puppy, be that cycling, going on motorcycle rides or traveling altogether. Luckily, this assumption isn’t true, and there are numerous ways you can take your pet alongside you to enjoy the ride, whatever that ride may entail. For those of you who love the feeling of freedom and the wind blowing in your face while you’re traveling or even just commuting, we have some great news! You can now take your dog with you on your motorbike, without worrying about security, comfort or practicality of such a conquest. In this article, we’ll give you a rundown of our top 8 picks for high-quality motorcycle dog carriers and help you choose the best motorcycle dog carrier that will suit your needs perfectly. After we go through the best dog carriers on the market, we’ll give you some additional information on motorbike dog carriers and provide you with a buying guide that will answer all your burning questions and equip you with all the necessary knowledge you need when you browse Amazon or step into a pet store. Read on to find out everything there is to know about pet carriers for motorbikes and immerse yourself in this sea of options that will allow you to spend some extra time with your best four-legged friend! Perhaps unsurprisingly, the Petsfit brand has turned out to be the best motorcycle pet carrier on the market right now. 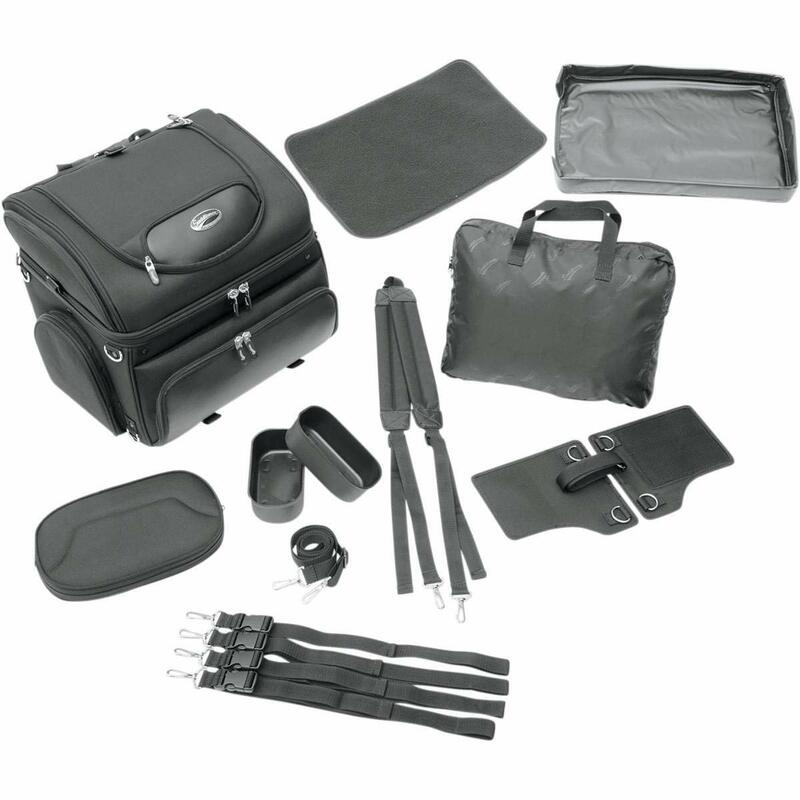 It measures 16”H x 10”W x 13”L and is made of durable and firm EVA foam and of high-quality PU. The maximum weight this backpack can carry is 15lbs, meaning that it’s only suitable for extra small and small dog breeds. 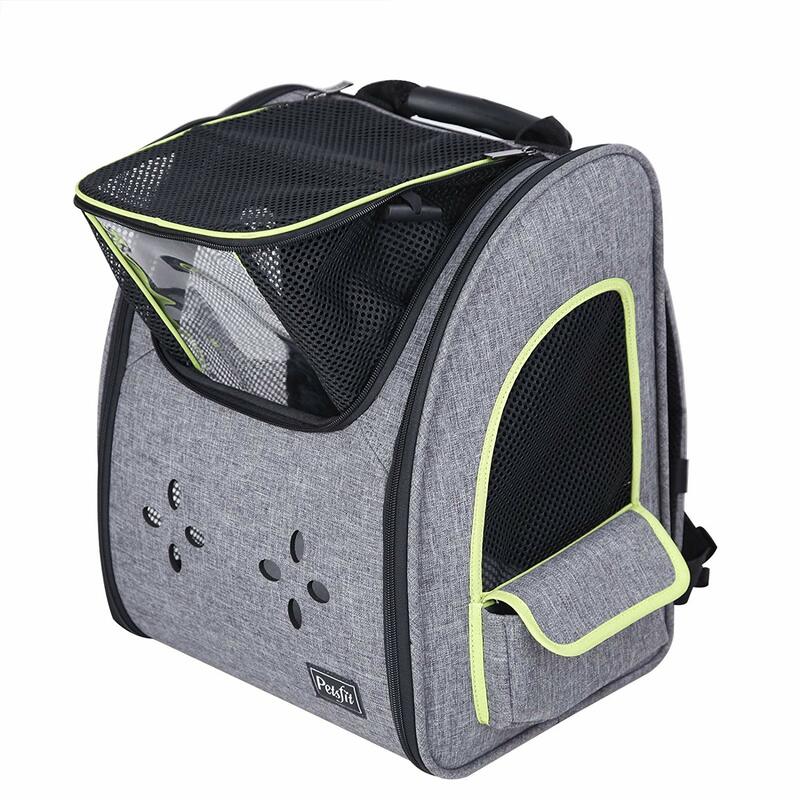 This stylish pet carrier features two large mesh pans on both sides that allow for sufficient airflow and ventilation for your pet to enjoy the ride. The mesh windows are rubberized, which means they can sustain any clawing or chewing, which isn’t a trait that is often found in products like these. 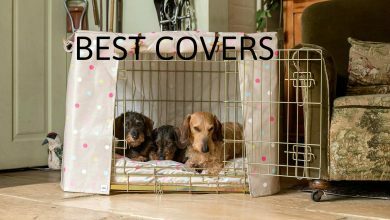 There’s also a roll-up cover, which enables your pet to stay hidden and have some privacy, which is especially useful if they’re shy or frightful. The carrier features a broad top opening and is closed by metal zippers that are said to have the longevity of 10.000 uses! Inside, you’ll find a security leash to attach to your dog’s harness. The bottom of this dog motorcycle backpack is solid and doesn’t collapse under the dog’s weight, meaning that the carrier will keep its original form without an issue and won’t cramp your pet inside. The bottom panel is water resistant enough so that in case your dog has a mishap inside, the liquid won’t pour through the carrier, and you’ll be able to clean it easily with an enzymatic cleaner. Also, the carrier has storage pockets that enable you to pack everything you need to have on the go with you, and on the front, there’s a reflective strip, which is always a good idea when riding a motorcycle. As a cherry on top, the Petsfit carrier can be stored flat, which is really practical if you only plan to use it for transport, and not as a pet bed as well. This small dog motorcycle carrier comes at an affordable price and the price-quality ratio makes this carrier a truly great purchase. The Texsens motorcycle pet carrier for dogs is one of the most innovative and intriguing motorcycle dog carriers around! Right off the bat, you’ll notice the sphere-shaped plastic cover on top of this beautiful carrier, that allows your dog to have a closer and better view of their surroundings, while being protected from harsh winds, insects, etc. This innovative dog backpack carrier measures 13.39 “L x 9.84″W x 17.32″H and is made out of PU leather and durable, rubberized mesh that is abrasion and scratch resistant. 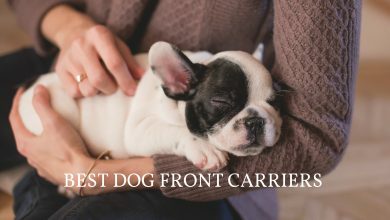 The carrier has a slightly smaller weight capacity compared to the Petsafe’s 15lbs and is able to carry pets up to 13lbs, but as a lot of users have pointed out, a 10lbs dog is an ideal measure for this bag. The bubble-like sphere can be switched for a regular and more traditional mesh panel that gives your pet more privacy and less intrigued stares. This motorbike dog carrier has two openings: one on top, and the other on the entire side wall of the carrier so that your dog can easily be put inside and taken out of the carrier hassle-free. The inside of the carrier features a built-in security leash and there are ventilation holes throughout the backpack. The bottom panel is very solid and will not bend or break under your pet’s weight. As for the backpack itself, it features adjustable shoulder straps as well as a carrying handle, which makes it really easy to secure with a seat belt if you ever decide to switch your transportation methods. There are three main (but minor!) downsides to this motorcycle dog carrier tank, the first one being that there is no dedicated storage space, so you will probably need to carry an additional bag around with you; secondly, the PU leather will have a chemical scent for the first few days of use, so it would be a good idea to buy the backpack beforehand and leave it in an airy room for a couple of days before using it for the first time. Lastly, it’s worth mentioning that the price of this beautifully made carrier is 50% higher than the Petsfit’s price, which is why it landed in second place instead of the first one. 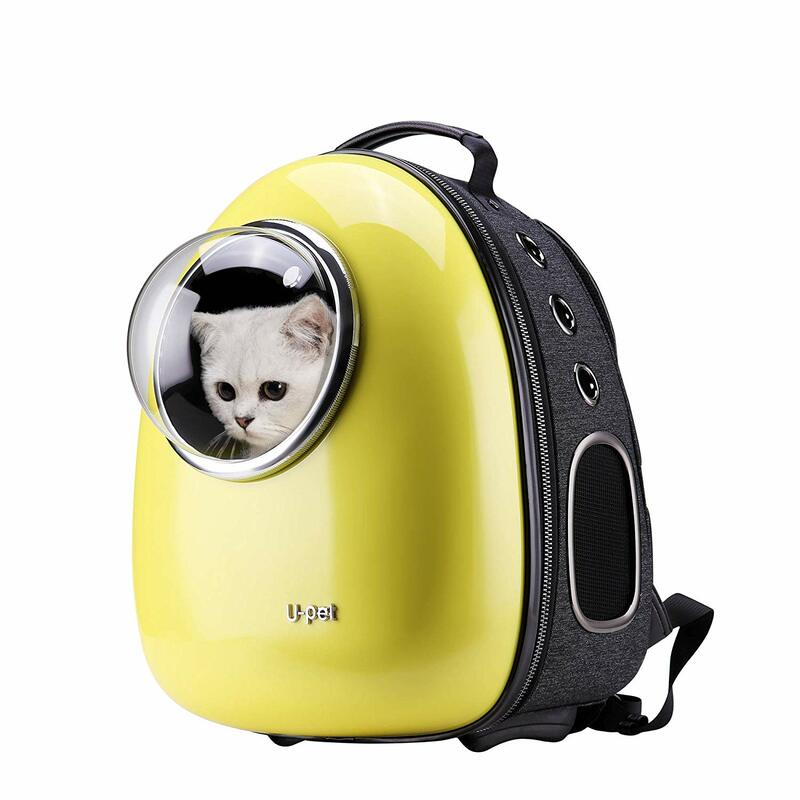 The U-pet bubble motorcycle pet carrier looks like the cutest little spaceship. It has a similar looking acrylic bubble as the Texsens carrier and the innovative viewing window for your dog can also be switched with a regular mesh panel for increased privacy. This carrier measures 13.4″L x 13″W x 16.9″H and fits dogs that weigh up to 16 pounds. This charming carrier is approved by most airlines, so you shouldn’t have any issue with it while traveling. There is one entrance opening at the top and one on the back of this carrier so that there’s no chance your dog can escape this space when you’re riding and have the carrier on your back. This is a general idea, at least, because a lot of customers have complained about the bubble window succumbing to pressure from the inside of the carrier and popping off easily. However, the switchable screen you can put instead of the bubble stays in place without any issues whatsoever. Another drawback is that the side mesh panels can easily be separated from the mesh ring that holds it attached t the side wall of the backpack, so you might want to superglue the mesh to the ring, just in case. Luckily, there is a built-in security leash available, which can put your mind at ease just a little bit, and on the side of the backpack are mesh panels and ventilation holes that offer a good view for your dog, even if they decide to lie down in the carrier while riding. However, out of all three carriers in our top 3 picks, this one has the least amount of ventilation, which could prove to be a problem in, especially hot days. The inside pad is easily washable, removable and comfy, and the whole carrier is made out of non-toxic materials such as cotton, polyester, etc. Aside from the different style, the design and logistics of this carrier really resemble the Texsens dog backpack carrier for motorcycles. Both have a bubble window and both lack storage space. What made us decide to put the U-pet in the third place is the fact that it costs double the Texsens’ price, and we think that the Texsens carrier looks better on a motorbike than this one. 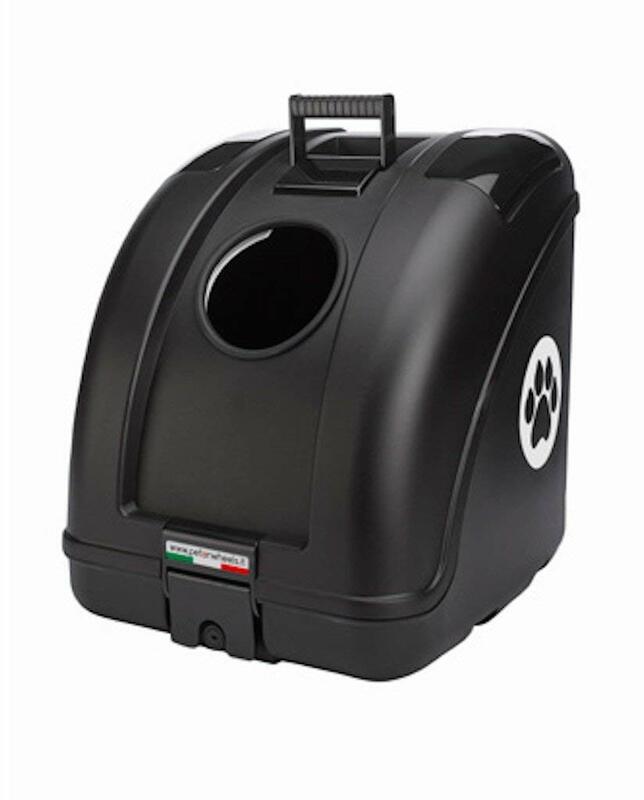 The Saddlemen Pet Voyager dog crate for motorcycle is multifunctional and can double as a cargo bag as well. This is another type of motorcycle dog carrier and it’s very different, compared to our top 3 picks – they were all backpacks, while this is a mount crate you can secure on your motorcycle and carry your pet around in it. 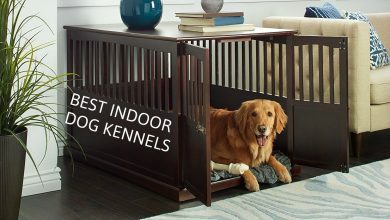 This crate features multiple ventilation vents covered with access flaps so that both privacy and sufficient airflow are available to your dog. 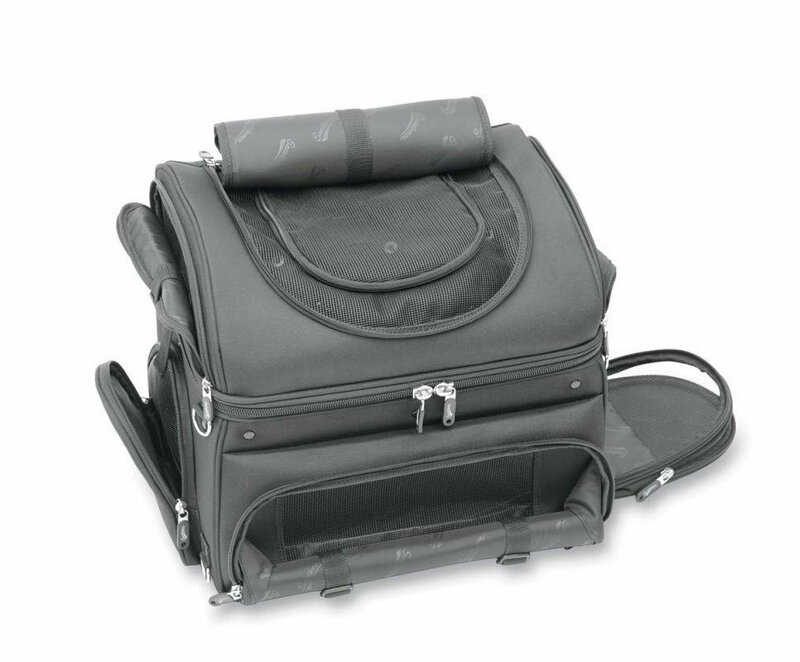 The pet compartment measures 16″W x 14″L x 14″T and includes a removable and washable bottom panel as well as an inner sliding leash that adapts to your dog’s height and allows freedom of movement while keeping them secured inside the crate at all times. The bottom panel isn’t as solid as are the panels of the top 3 backpack carriers we’ve previously discussed, which makes the ride for your dog a little less comfortable. This motorcycle pet carrier tank bag comes with two mounting systems: a Saddlemen versa-mount seat harness and the sissy bar strap system that can be easily adjusted and attach the bag to your motorcycle seat, luggage rack or sissy bar. These mounting straps can be disconnected from the motorbike in a matter of seconds, which a welcome security trait. The sturdy handle on top allows a firm grip on the bag and enables you to carry it around and there are even backpack straps included in this carrier, although ergonomically speaking, it isn’t the most comfortable of backpacks. There are special compartments for food and water trays, which would be an amazing thing to have on long trips, save for the fact that they’re positioned in the front pouch that is also the front vent, so if you want to use it, there’s really no place else you can store the trays, except in an extra bag. All in all, this is a really solid all-around motorcycle bag that still has a lot of room for improvement, but if you prefer the mount bags over backpacks, you won’t go wrong by purchasing this one. 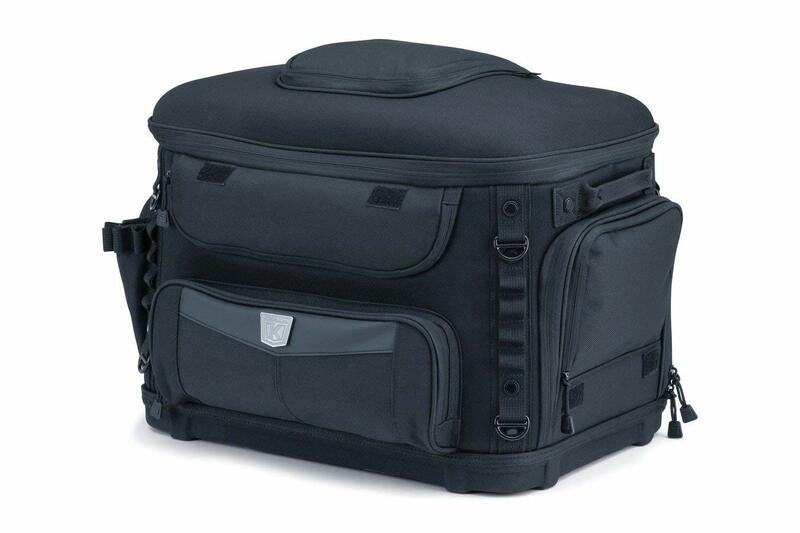 The Kuryakyn Pet Palace dog bag for a motorcycle is a sturdy, secure crate that can be positioned on your motorbike with the help of a sissy bar strap, multiple D-rings and adjustable straps that offer different secure mounting options. The firm internal frame and solid bottom provide enough support for dogs up to 10lbs, which makes this a really good motorcycle dog seat. On top of the panel is a removable foam cushion that is easy to clean and provides extra comfort for your pet. As far as the amenities go, this carrier offers an inner adjustable leash, two dishes, a removable pouch as a storage option, as well as a roll-up cover mesh window on the front side. The only entrance opening is at the top, which increases the basket’s security but decreases practicality and easy access to your pet. Speaking of security, there are customers who have complained about the inner leash being too long to prevent the dog from getting out of the carrier. Your dog will be totally secure in it if you decide o ride with the top mesh cover closed, but if you want to offer a little more breeze to your dog, you’ll have to think of a way to shorten the leash. The carrier has optimal ventilation and is made of 1200 denier textile material which is weather-resistant, which means that neither rain, wind or sunshine can prevent you from going on a ride with your pet. The CloverPet Bubble backpack motorcycle dog carrier resembles the Texsens and the U-pet ones, except that this one looks retro, the Texsens looks modern and the U-pet gives off a futuristic vibe. 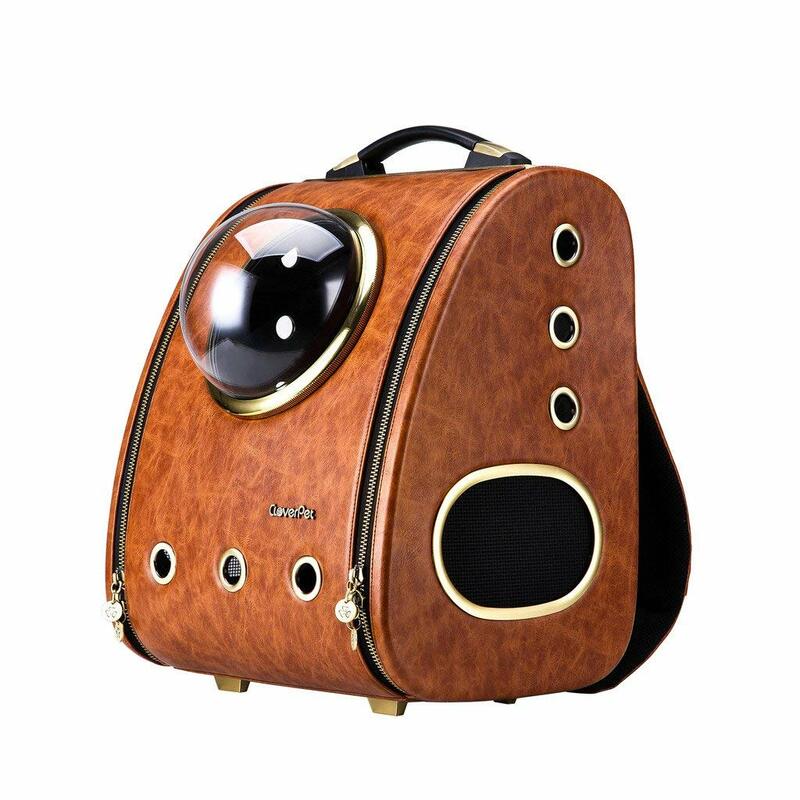 The semi-sphere window design is also the key point of this backpack that has two zipped side entrances, without a top entrance, which is a bit unusual for a backpack. One could imagine that the side zippers are more easily opened than the top zipper, but that doesn’t mean that’s going to happen with the CloverPet. This carrier is approved by most major airlines and can also double as a car seat. It features a built-in security leash, side mesh panels, and large ventilation holes, along with a soft washable bottom pad to top it off. 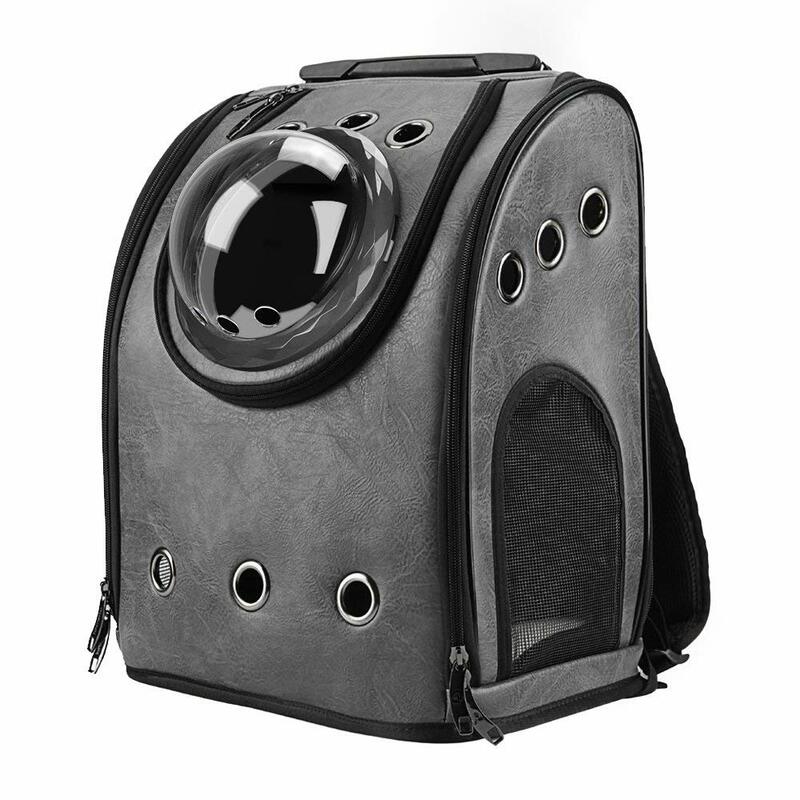 The inside dimensions of this backpack measure 13.2″L x 10.4″W x 16.1″H, and judging by the carrier weight of 6.6 pounds, this may be a good option for those looking for a motorcycle dog carrier for a medium dog, at least as far as the weight is concerned. The bubble window can be switched for a mesh panel or completely removed if you have a small dog that would enjoy looking out at the scenery without a plastic window or a mesh. There is a pocket at the back of the backpack where you can store treats and perhaps a leash, but not much else. This means that you will probably have to carry another bag for storage purposes with you, which can be tiresome, to say the least. The Pet on Wheels motorcycle pet carrier is an epitome of rough practicality – the design of this pet carrier is completely utilitarian and lacks stylishness and elegance. However, the good thing is that is can be mounted to any type of vehicle that has a flat rack, be it a scooter, a bicycle or a motorbike. Seeing how it can carry pets that weight up to 22lbs, this could be considered as a large dog carrier for the motorcycle. Of course, ‘large’ is a term that is loosely interpreted when it comes to dogs that can be carried around on motorbikes because no one actually expects that it’s possible to carry a German Shepherd around in a carrier. This carrier can also double as a car seat, seeing how it can be easily secured by a seat belt. The interior features a clip-on security leash and a black padded cushion that is easy to clean. However, if your dog isn’t brave and/or curious, and doesn’t like to look outside while driving, for whatever reason, the chances of this carrier being ventilated enough for your pet to sustain longer rides without overheating are minimal. There are vents on both sides of the handle, but in our opinion, they aren’t big enough to make a true difference. This bag is another one of Saddlemen’s motorcycle pet carriers for small dogs that are high-quality, although the most expensive one of the bunch. The carrier measures 16″W x 14″L x 14″T and can double as a cargo bag, as well as a backpack, using the extra backpack straps that come with it. Similarly to the Pet Voyager, this motorcycle dog seat features the same two mounting systems as well as quick-disconnect mounting straps. The removable and washable bottom ray and resting pad will offer comfort during the entire ride, and the carrier comes with additional storage space that is well thought-out and sealed with quality zippers. There are multiple vent and access flaps that provide airflow and prevent your dog from overheating. Inside the carrier is a sliding security leash that allows the freedom of movement inside the carrier and increases the overall riding experience and comfort of your pet. This carrier is suitable to be mounted on Honda, Kawasaki, Aprilia and Ducati motorbikes (you can see the full list by following the Amazon link). If your dog is anything like you, we assume that it enjoys wild rides, feeling the breeze between their ears and soaking in the sunshine while taking a trip or a quick ride to the vets on a motorbike. In order to take a ride with your dog securely and without compromising your own focus and safety of the both of you, it’s crucial to get a dog basket for the motorcycle. These bags come in different colors, shapes, and sizes, but there are two main types of motorbike carriers that you should know about. The two main types of dog motorbike carriers are backpacks and crates, both have their pros and cons and both can serve the purpose of making the ride enjoyable for both you and your dog. Let’s look at individual traits. Backpack motorcycle carriers are very secure in a sense that there’s no way the backpack will slip from your back, for obvious reasons. Most of the time the dog carrier backpacks are really sturdy and well made, with solid bottom panels and sufficient ventilation. They really come in handy when you have to walk and ride your bike so that you don’t have to deal with the straps, handles, and bulkiness of the crates. However, two downsides of the backpacks are the fact that the bottom will never be completely flat, because you naturally lean forward while riding a bike, and two, they can create a bouncy experience, depending on your speed and the quality of the road. Crates, on the other hand, are more stable and are attached to the back of the motorcycle. They often offer a less bouncy ride and they also give you the possibility of turning back to your dog to pet them and interact with them – something that you can’t do when they’re in a backpack. 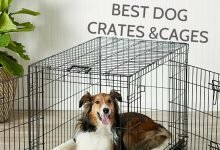 On the other hand, crates are bulkier and not as ergonomically build to suit the shape of your back, so even when they do come with optional backpack straps, they don’t offer the same experience, nor are they as stylish as dog backpacks. Consider all essential aspects of dog motorcycle bags and decide what is the best motorcycle dog carrier for your needs with the help of our quick and comprehensive buying guide! Generally speaking, a regular dog carrier motorcycle tank bag can carry around 15-20lbs of weight, with some rare exception that can carry more than that. As far as the backpacks go, they usually aren’t meant to carry a pet that’s heavier than 15lbs simply because that would be too tiring for the owner. The important thing isn’t just how much the carrier can carry in terms of weight, but also what its dimensions are because the inner measurements of a bag will determine whether your dog will feel cramped or comfy in their new motorbike bag. Unless you’re used to carrying a small bag over your shoulder anyway, make sure that the carrier you pick has enough storage space for all the essentials: leash, treats, mobile phone credit card or even a wallet, preferably. Ventilation during a long motorcycle ride is important not only because it will provide constant oxygen to your pet, but because the breeze within the carrier will prevent your dog from overheating. That’s why it’s important to have a carrier that has a minimum of 2 holes that are capable of creating a mild breeze while riding. 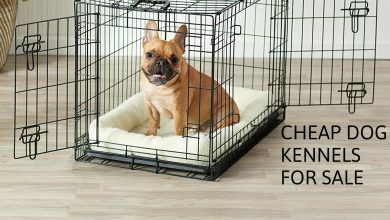 A combination of mesh panels and ventilation holes is an ideal solution for any pet. There are two security features that most, if not all motorcycle carriers have: leashes and mesh covers. An inner leash clip or an inner harness really is a must when it comes to motorbike baskets because they pose a bigger risk than any other type of dog carrier. Look for a leash that isn’t too short (you don’t want your pet to choke when they lie down in the crate) or too long (that won’t prevent the pet from jumping out of the crate, which defeats the purpose of the leash). As for the mesh covers, they are great if your dog is shy and easily scared and doesn’t enjoy an open top ride, or if the leash is too long and you need the mesh top to prevent the puppy from jumping out. 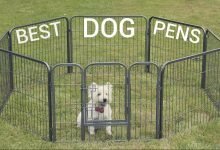 Either way, it’s always a good idea to invest in a pet carrier that has both of these security features. As we’ve mentioned before, the motorcycle dog crates and baskets that are mounted and attached on the back of the bike can usually be transformed into backpacks with the help of two backpack straps that are usually delivered as an extra to the package. While not the ideal everyday option, this functionality can prove to be extremely useful in urgent situations. 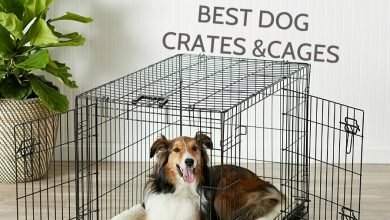 Also, a lot of dog crates can use as a useful mounted storage compartment on the days you’re not carrying the pup around with you! Because motorcycle rides are high-risk by definition, it’s all that much more important for the safety of everyone involved that the carrier you purchase is sturdy, stable, durable, and won’t break away from the bike just as you start speeding up. However, this increased build quality does come at a price. One of the reasons why the Petsfit carrier is our favorite is the fact that it’s one of the cheapest around that still manages to offer quality build on par with products that are 300% more expensive. However, we would advise against buying a carrier that costs less than $50, except if it’s a motorcycle pet carrier for sale. This price is just an exception, though, because the average price is somewhere around the $100 mark, with some carriers even going up to $250! The good news is that the holidays are near, which means that you’ll be able to find a lot of good motorcycle dog carriers for sale! The great thing about having a dog carriers backpack that has a really firm and sturdy bottom panel is that you can take it with you everywhere. For instance, if you’re traveling alone with your pet, and you need to go to the bathroom, you can take the backpack with you and hang it in the bathroom stall, without fearing hat the bottom will warp and lose its shape. It seems like a mundane thing to rave about, but when you’re traveling alone, every bit of convenience is a big plus. Extra tip: provided that your motorcycle dog carrier of choice has a big top or side entrance, you can easily transform it into a dog bed and same some money on purchasing two products instead of investing in one. If you feel like a harness would be a better option for attaching to the inner leash clip, because it would prevent shocking and increase your dog’s security, you’re not wrong. You can even go wild and buy your puppy one of these high quality, colorful harnesses to enjoy! using a motorcycle dog basket might include a learning curve for both you and your dog. The key is to be patient and get your dog to adjust to the mere existence of a new object in the house. Use treats and positive reinforcement to make your dog feel like the carrier is a good thing and a place where good things happen. Only after your dog has completely accepted the bag, try carrying it around the block for a few days, before taking your dog for their first ‘grown-up’ ride. Choosing the best motorcycle pet carrier is no easy feat, especially because the room for mistakes isn’t all that big. We hope you’ve learned some new things in this article and that you now have the idea of exactly what type of motorcycle bag you should get for your dog. Let us know if you have anything to add and if you’ve found some of this advice helpful!